Contrary to how it might appear sometimes, examiners are not looking to deny or cheat anyone out of marks and want students to earn the highest tally possible. Sadly, every year they report similar reasons for not being able to reward students in the way that they had hoped — and it is surprising how often they mention misunderstanding the requirements of the examination and the questions rather than a lack of knowledge or the necessary skills. These unique, exclusive resources prepare students for the actual process of being examined and ensure they are as prepared as possible for the rigours of this critical activity. Armed with a thorough understanding and familiarity with the structure and purpose of both examination papers, students will be able to express themselves with assurance and will not drop marks for common, unnecessary mistakes. Designed to be used in class or for revision, these guides are much more than a bundle of ‘past papers’ and use a proven three-step method that combines understanding with practice, based on concise explanations and practice questions, which help students understand the purpose of each question and then test and reinforce their skills using the current IEB Grade 12 English Home Language syllabus texts. 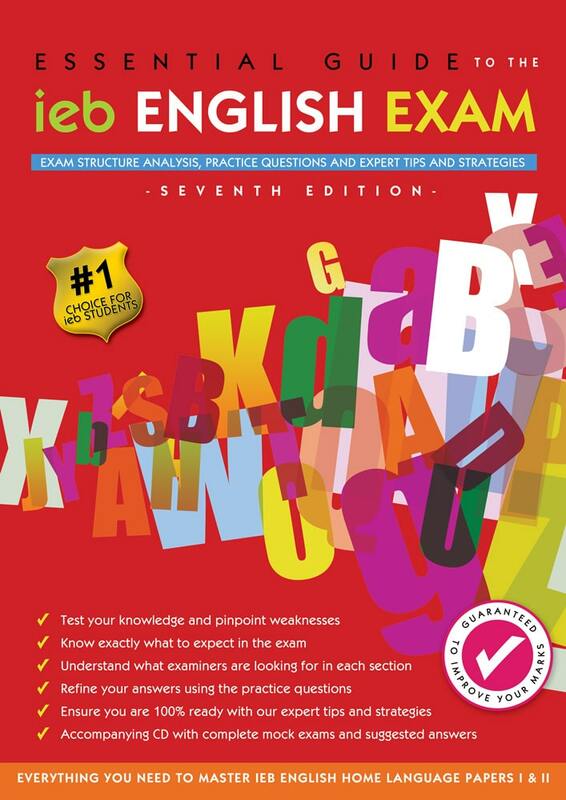 Updated for the 2019 IEB syllabus, the 7th Edition of this indispensable Guide keeps the same, proven format, but features updated Poetry (Question 3, Paper I) and Shakespeare (Antony and Cleopatra) sections, both complete with new practice questions — along with brand new mock examination papers and suggested answers. 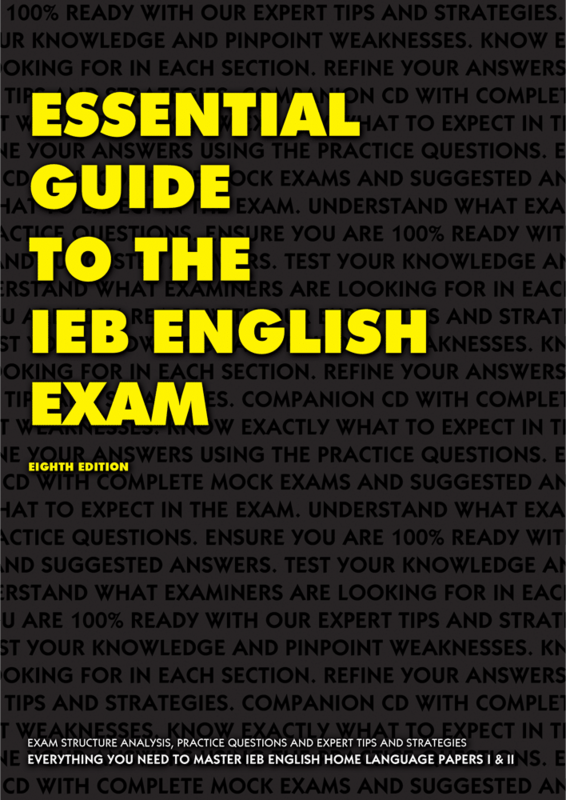 Updated for the 2020 IEB syllabus, the 8th Edition of this indispensable Guide keeps the same, proven format, but features updated Poetry (Question 3, Paper I) and Shakespeare (Antony and Cleopatra) sections, both complete with new practice questions — along with brand new mock examination papers and suggested answers. Know what you need? Secure the resources you want.